The bridge switching system provides a flexible method of sharing a limited number of displays between multiple video sources. Sources can include chart-plotters, radars, dynamic positioning systems, ECDIS, alarm monitoring as well as non-computer based sources such as CCTV cameras, thermal imagers and sonar. In addition to video switching, the system also makes it possible to control some sources from any of the multi-function displays (MFD) that are part of the system. 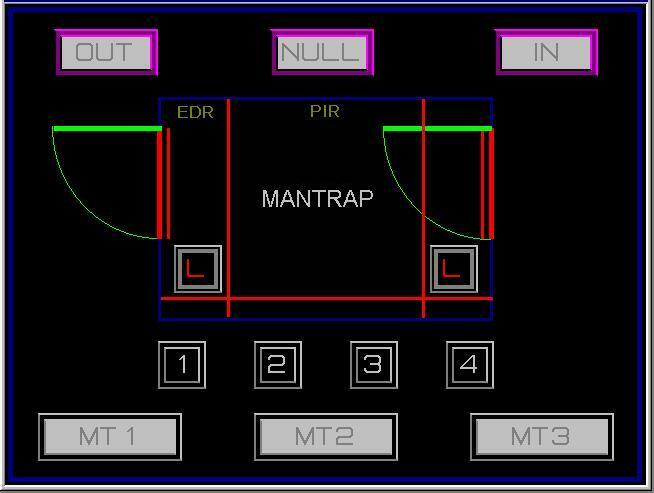 A user can easily select which source they want to see by walking up to any of the MFDs and bringing up a graphical user-friendly screen that provides an icon-based list of the sources that are part of the bridge switching system. The user can th en select any of the sources by simply clicking on the relevant icon for that source. If the source is a controllable source such as a pan/tilt style camera, then the user will be able to control it using on-screen controls while looking at the image in a small window in the screen. When the user is done controlling the camera, the selection/control screen will disappear and will be replaced with a full screen image of the selected camera. With controllable sources such as charting software, for example, once the source is selected, the video for it will appear and its software can then be controlled using the trackball at the MFD. For non-controllable sources such as the radars, which are controllable only from their dedicated locations, only the video can be brought up on the MFDs through the bridge switching system. 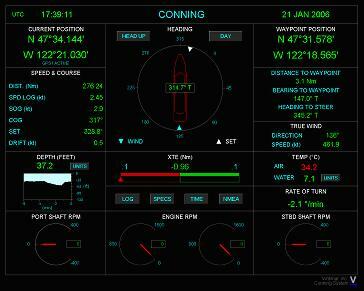 The conning system is a PC based system that brings in navigational NMEA data from all the NMEA talkers and consolidates it and then displays it graphically using a single software screen. It allows a user to monitor data from various navigational devices such as a GPS, speed log, gyrocompass etc. using a single computer screen without having to look at all the different NMEA talkers. This software can be installed on any computer on a network to permit viewing of data at locations other than the bridge also. 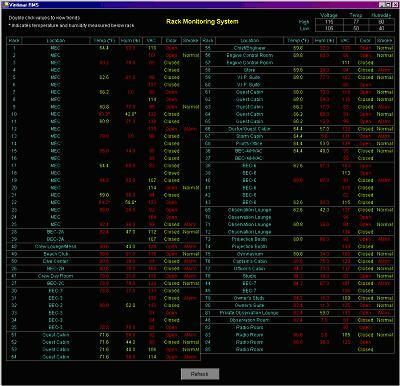 Integrated electronic logbook automatically acquires data and simplifies the process of generating crew watchtime reports. The Internet Connection System is a Cisco router based solution for switching between multiple means of connecting to the Internet on a vessel. 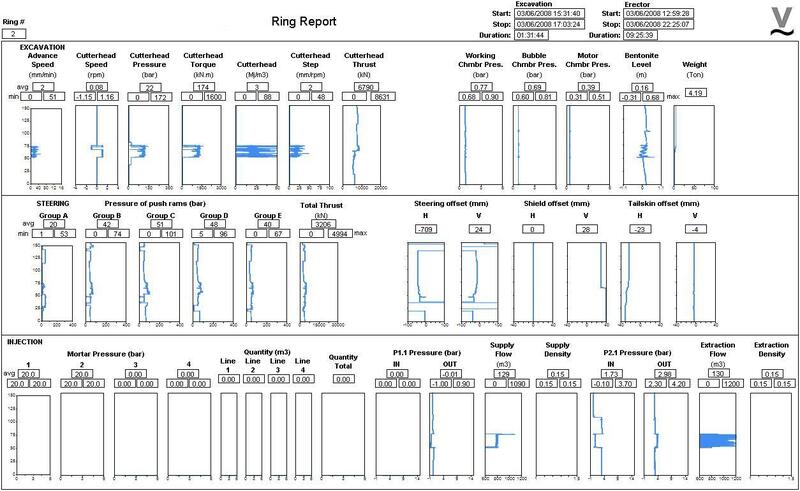 A graphical user interface simplifies the task of selecting the active method of connection. This system offers a rugged alternative to other computer based solutions that are susceptible to hard drive failures. This approach is also much more efficient than other computer software based solutions that end up having more overhead resulting in slower connectivity. 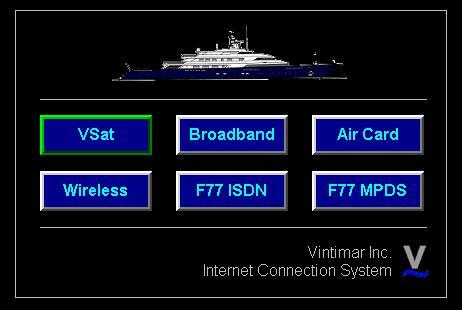 The system is modular and can be designed to deal with any combination of Fleet 33, 55 or 77 ISDN and/or MPDS, VSAT, Marina wireless, Clearwire, 3G Aircard, dial up via external modems, DSL (at a marina) or any other means of Internet connectivity. This system also makes the implementation of onboard wireless networks much more secure. 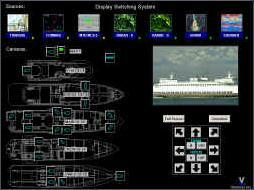 The fire mimic system interfaces with fire panels and provides alarm mimic capability throughout a yacht or large estate. This is particularly useful in installations where the fire panel does not come with a detailed mimic panel. In order to display the state of individual detectors, an addressable fire panel such as the Thorn Minerva panel is required. This system can show if a detector is isolated or has a fault as well as the state of fire doors if that information is available from the fire panel. All alarms are logged historically. 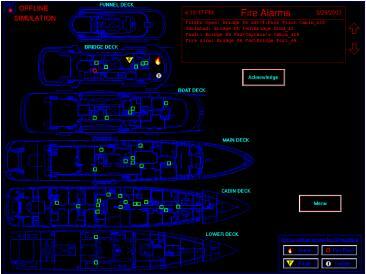 Fire attack plans can be integrated into this application. This system can also be used to annunciate panic or duress alarms as well as art alarms. The Inventory software makes it possible to keep track of spare parts in a variety of applications including yachts, large estates as well as any establishment where parts are stocked and need to be tracked. The software is a web based application that makes it possible for multiple users to access it simultaneously using just a browser. No extra software or configuration is required on client computers as all that is needed is a browser. It is possible to search for parts using a variety of search criteria. It is possible to enter and view photographs of parts as well as of the location where they are stored. 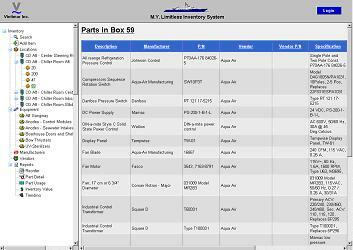 An intuitive user interface makes it easy to add and remove parts from inventory. The software includes powerful reporting capabilities. Reports includer reorder, inventory value, usage as well as graphical usage and restocking trending. Reports can be saved as PDF files. Email us for an online demo. This software makes it possible to define and track preventive maintenance tasks for any installation ranging from a yacht, factory to a large estate. The key feature of this software is that it is very easy to use. The user interface resembles Windows Explorer and uses a tree structure. Maintenance tasks can be based on date/time (weekly, monthly etc. ), running hours of the equipment or gallons/liters of fuel burnt in the case of engines and generators. It can be interfaced with a monitoring system to automatically bring in running hours for the relevant equipment as well as gallons of fuel burnt for engines and generators. The list of equipment and maintenance tasks for each piece of equipment are custom defined and can be edited by the user. These are saved in a database along with a history of all maintenance tasks performed. Non-scheduled repair tasks performed can also be entered in the program and make it a valuable knowledge base tool making it easy to troubleshoot recurring problems. The program provides graphical indication any time a maintenance setpoint is reached. These setpoints can be a combination of date, hours run or gallons burnt, whichever comes first. 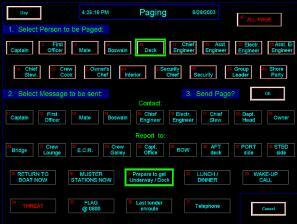 Also included are reminder tasks, for example, things that need to be done when a yacht goes in to dry-dock. Powerful reporting capabilities include generation of a variety of reports as PDF files for emailing. Email us for an online demo. This software tracks expiration dates of important crew, guest and ship documents. Crew documents include certifications, licenses, passports etc. Ship documents include both class and flag state issued documents. 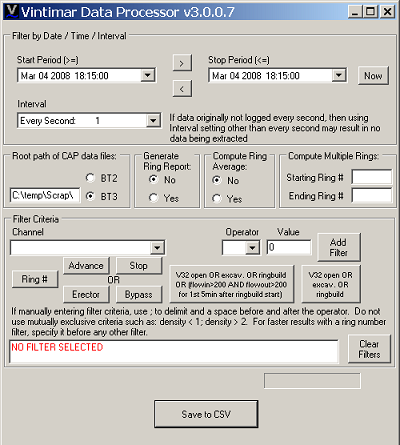 The program automatically calculates the next expiration date once you renew the relevant document. You can also create reminder tasks and get pre-warnings for upcoming renewals. The software is very user friendly and minimizes the risk of ever missing a critical document renewal date. Powerful reporting capabilities include generation of a variety of reports as PDF files for emailing. Special version for yacht management companies makes it possible to monitor expiration dates for documents for all yachts in the fleet. Email us for an online demo. The lighting software interfaces with lighting systems such as Litetouch, Lutron, Vantage as well as hard-wired lighting systems and makes it possible to group all exterior lights into groups that can be turned on or off via single buttons. The custom groups can be turned on or off based on a timer. 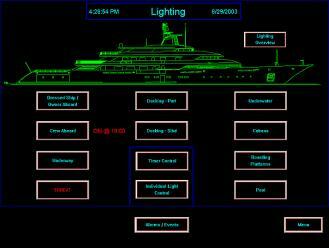 Lights can also be controlled on an individual basis using a GA of the vessel showing the location of the light. With interior lights, it is possible to turn all lights in the guest areas off when there are no guests onboard with a single button. 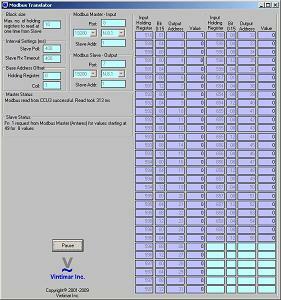 A web interface makes it possible to monitor the environmental conditions of equipment racks thus protecting valuable equipment. System can send email alerts and also provide contact closure outputs to allow interfacing with other monitoring systems. Parameters monitored are temperature, humidity, smoke, open doors and voltage. Alarming setpoints are user configurable. 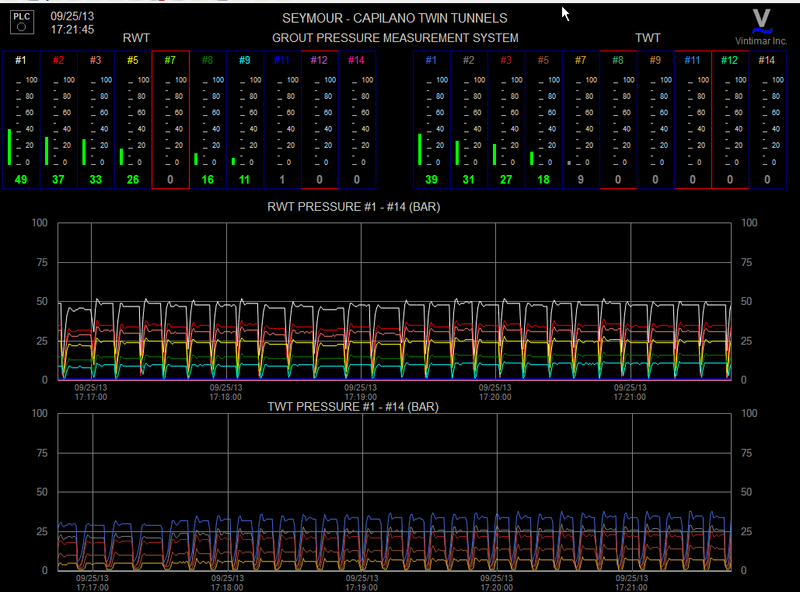 Powerful trending capability makes it possible to view variations over time and also access historical data. Our tank monitoring system displays fuel, potable water and wastewater tank levels. It corrects for the e ffect of sloshing while underway by using filtering techniques to provide stable and accurate readings. The systems also provide alarms at user specified setpoints for low levels as well as high levels to prevent overfill. It can be integrated with other computer based systems that can compute the trim of the yacht, estimate how far the yacht can go based on the current rate of consumption when used in conjunction with a fuel flow monitoring program. 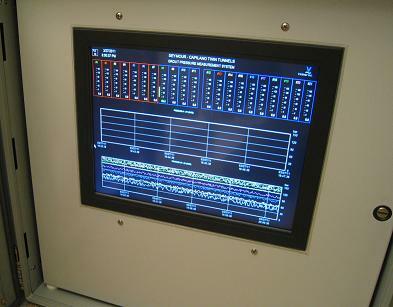 The computer based screen displays the tank volumes as bar graphs and provide the ability to trend the tank volumes and acknowledge alarms. The NMEA data routing system provides a flexible way of managing the integration and distribution of NMEA data from various navigational sources on a vessel using an easy to use Windows based graphical user interface (GUI). The system provides a simple means of terminating navigationaldevices and supports upto 32 inputs and 32 outputs with full optoisolation of all inputs and outputs. The system software makes it possible to diagnose and troubleshoot NMEA problems and improves performance by sending only desired signals to listeners rather than sending everything that a talker may put out. It is also possible to easily generate customized output streams by mixing input messages from different input devices. The alphanumeric paging system interfaces with Zetron, Motorola Peoplefinder and other radio paging systems to provide an easy to use computer screen driven interface for sending out both predefined and custom alphanumeric pages. This system can also be programmed to send automatic alphanumeric pages in the event of a fire with details of the location of the fire speeding up the response time. It can also be interfaced with the alarm monitoring system to send out pages in response to critical alarms. Permits installation of telephone style numeric keypads with an X-Y 3x4 interface in systems requiring a 2 of 7 styl e keypad. An X-Y keypad is one in which when a button is pressed, the appropriate row and column outputs get connected to each other whereas in a 2 of 7 keypad, when a button is pressed, the appropriate row and column outputs get connected to a common. This converter is a compact PLC based system and comes in a 24VDC or 110VAC version with screw terminals for all wiring. Can be used to secure access to any facility. Interfaces with door contacts, motion detectors, eletric door locks, beams, hand geometry readers, card readers and access control systems. Touchscreen based user interface. The Modbus translator can bitpick bits from holding registers read from a Modbus RTU slave and make them available to a different Modbus RTU master as contiguous coils. It can also read non-contiguous holding registers from the RTU slave and make them available as contiguous holding registers to the RTU master reducing the number of reads required by the master. 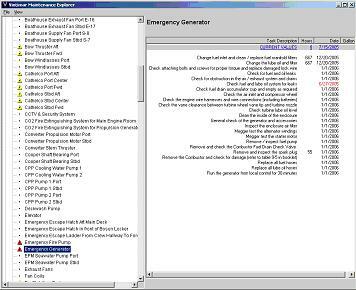 This software is necessary when interfacing the P&L Antares software used on Perini sailing yachts to Woodward Modbus gateways or Tyco CCU fire alarm systems. Vintimar has developed a webserver hosted reporting system that can be used for any application that requires data entry in reports and archiving of reports to network storage. Applications include product quality control for manufacturing facilities and safety management. Reports that are currently entered by hand or filled in using Excel or Word documents are converted to web entry forms that can be accessed via computers, tablets including iPads as well as smart phones via a browser. This software can also simplify access and viewing of company drawings as these too can be called up on the same devices from the same webserver software. The VOIP gateway interfaces with an analog PBX phone switch and allows users to make and receive calls on smartphones, tablets or computers over a local wireless network. Smartphones get an extension on the phone switch similar to existing phone extensions. Multiple devices can share the same extension and ring simultaneously on receiving an incoming call. Smartphones can be used to talk to each other using the assigned local extensions without needing to connect to the cellular network. Smartphones can also make outgoing calls utilizing PBX CO lines.